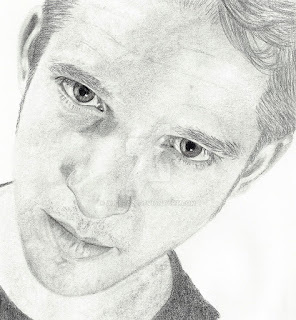 A sketch of Damien Molony as Hal in the UK TV series Being Human. This was just a quickie drawing to get back into faces after my recent foray into full body sketches. Drawn over 4.5 hours with a 2B pencil.